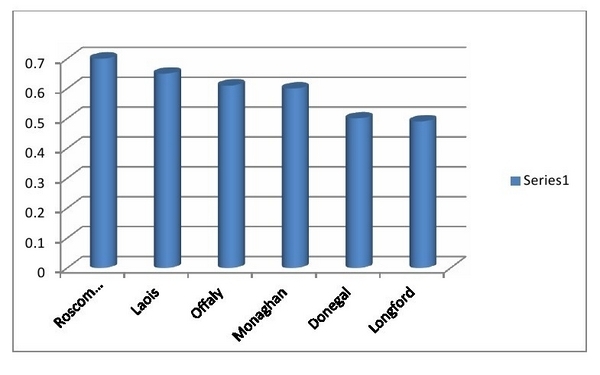 Yeats County takes top honours as Longford brings up the Rear again! In our annual look back on which county our online customers are located in Co Sligo has emerged with the highest score and is therefore deemed the Purchase.ie Green Champions of 2014. 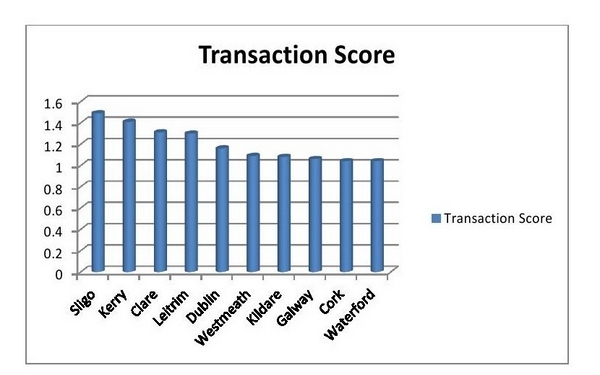 The ranking is calculated based on the percentage of overall Irish transactions on the Purchase.ie website during the year (Sligo 2.08%) divided by the percentage of the overall population in Ireland living in that particular part of the country (Sligo 1.4%). A score of 1 would be deemed average based on this calculation so anything greater than 1 is above average and any county below 1 is deemed below average. Tipperary fell from fifth place in 2013 all the way down to 19th position in 2014 as Wexford also took a dive in the county list falling from 9th in 2013 to 20th in 2014. Cavan climbled from second last (25th) in 2013 up to 18th in the 2014 list. One thing that remains constant on the 2013 figures is that Longford based customers are the least likely to order from Purchase.ie. Donegal just avoid the wooden spoon falling from 21st in 2013 to 25th overall in 2014. 5 of the counties that came in the bottom 6 in 2013 are still in the bottom 6 in 2014 with Roscommon dropping in at 21st on the 2014 from 20th in 2013. 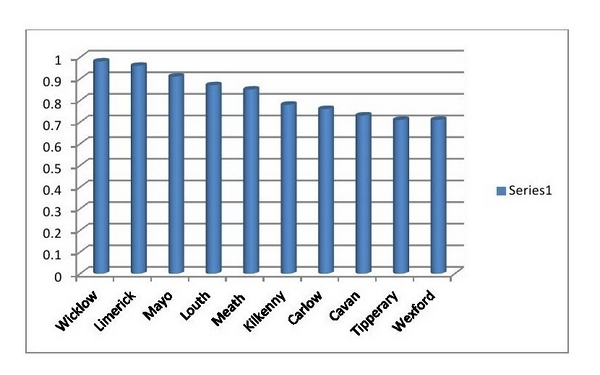 It probably says something about broadband access in Ireland as much as anything else. On the International front Great Britain and Northern Ireland rather predictably remains in top position accounting for over 60% of all International transactions through the website. In total we dispatched website orders to 25 different countries in 2014 with Italy again coming in second place and the USA coming third. 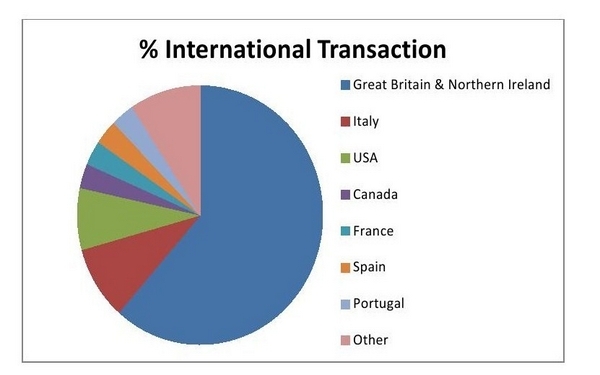 Canada, France Spain and Portugal were other prominent destinations for Purchase.ie orders in 2014.